It’s the end of the world… again. And Harold Camping has nothing to do with it. Apocolyptic fiction of any kind greatly interests me. Done well, it can be a superb tool for exploring strong emotional, moral, and philisophical themes. McCarthy’s The Road is a magnificent example of this, showcasing the relationship of a father and son against the backdrop of a ravaged world. 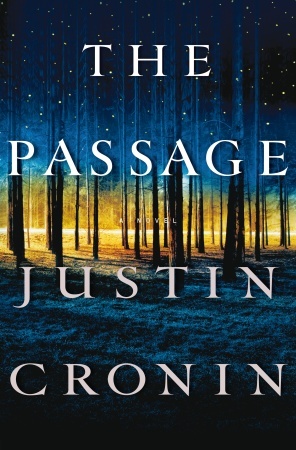 Enter Justin Cronin’s The Passage. It caught my eye last year, and I added it to my list of potential reads for 2011. I eventually discarded it in favor of other books and had all but forgotten it when, out of the blue, a friend recommended it to me. I took his advice, picked up a copy at the library, and bingo! I was hooked. 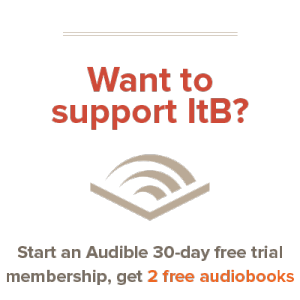 It’s equal parts science-fiction epic, end-of-the-world nightmare, and touching human drama all rolled into a single, 800 page volume of ambitious apocalyptic literature. When a vampiric bat virus is discovered by expeditionaries in South America, it’s transported to a clandestine government facility in the Colorado mountains. There, a team of scientists soon discover that the virus’ potential benefits are incredible: it has the power to make human beings immortal and virtually indestructible. Thrilled by their findings, they attempt to engineer the virus in hopes of creating the ultimate super-soldier. Meet Project NOAH. Unfortunately, these profound advances come at a cost no one could have anticipated; and when the virus is injected into the human blood stream, it becomes clear that something is very wrong. The test subjects of the experiment – twelve men who were convicts on death row – transform into a superhuman race of vampire-like creatures called Virals. And when a security breach at the facility where they are held unleashes them on the outside world, all hell breaks loose. A night of chaos and death marks the beginning of a nation, and ultimately of a world, forever changed. As civilization swiftly crumbles, two people flee in search of sanctuary. FBI agent Brad Wolgast is a troubled man, haunted by the death of daughter and by his involvement in certain morally-questionable activites. Six-year-old orphan Amy Harper Bellafonte is refugee from Project NOAH – one of the few to survive. Wolgast determines to protect her from the bloody fallout, but for Amy, escape is only the beginning of a much longer journey – over many miles and many years – towards the time and place where she must finish what never should have begun. I used the word “literature” intentionally when describing this book. The Passage isn’t some cheap apocalyptic horror novel like those that often litter the bargain section of the bookstore. Rather, it is fascinating, intelligent, and thoughtful piece of fiction with impeccable prose, finely-drawn characters, and a relentless pace. It is, in my opinion, a work of art. One major theme of the book is that of retaining humanity in an inhumane world. The characters – even the ones that don’t play particularly crucial roles – are crafted with care and skill, and the reader feels their struggles, joys, and pains. Amy, in particular, is one of most lifelike little heroines I’ve ever encountered in fiction, and her relationship with the troubled Wolgast is heartfelt without a hint of saccharine sentimentality. Another aspect of the story that I really enjoyed was the author’s gritty take on vampires. These are not sparkly, angst-ridden, misunderstood bloodsuckers a la Stephanie Meyer; nor do they resemble Bram Stoker’s Dracula. The vampires in The Passage are hairless, insect-like killers: super-fast, super-strong, and extraordinarily difficult to destroy. Elements of vampire lore are present, to be sure – the creatures are immortal, drink blood, and mostly hunt at night – but on the whole, Cronin’s interpretation is quite unique. Surprisingly enough, faith is neither mocked nor ignored in the story. In fact, one of the key characters is a devout Christian, firmly believing (as it turns out, rightly so) that Amy is God’s answer to the terrible catastrophe. Not only that, but Cronin’s narrative closely resembles that of the Fall in Genesis 3: man brazenly pursues his quest for godlike-ness, and consequently unleashes unimaginable evil on the surrounding world – evil that touches everything and everyone, even the generations to come. This is not say The Passage is entirely or even explicitly Christian, and readers should still exercise caution and biblical discernment. That said, there’s much to think about, and the book is all the richer for it. The post-apocalyptic world of The Passage is a dark, threatening, and horrific place; it’s not surprising, therefore, that Cronin’s narrative is punctuated by violence. Humans and virals alike are shot, stabbed, maimed, dismembered, and blown apart in a number of vicious encounters; these sequences are never excessively graphic, but jarring nonetheless, and easily unsettled readers should know what they’re getting into. Sexual content is surprisingly limited, and when it does pop up, it’s brief and easy to skip. More objectionable is the foul language. It’s not as pervasive as, say, Robopocalypse; and thankfully, after the first couple hundred pages or so, the swearing lightens up considerably. All the same, there’s still quite a bit of it and, when it does pop up, it’s generally strong R-rated fare. All in all, I recommend The Passage, bearing in mind the cautions given and the fact that it’s only for the most mature of readers. Apparently, it’s only the first installment of a proposed trilogy, the second of which will be released next year. Am I looking forward to it? Definitely.